A number of Pennsylvania's top athletes will head to the Armory this weekend for the 112th Millrose Games in New York. Many will be in contention for the win in some deep fields. BREAKDOWN: Atkinson enters as the top seed in the field, which includes 5 PA girls and 5 non-PA competitors. Her season best is 12-1, which puts her at PA#4. Zurich has also cleared that PA#4 height of 12-1 this season. Heine (PA#6) should be a factor having jumped 12-0 this season. All in all, there's a good shot a PA girl takes the title here. BREAKDOWN: Kitchell enters Millrose at PA#3 of 58-00.75 from the Marine Corps Classic earlier this season. A strong crop of Rhode Island throwers leads the way here, with Jacob Furland (US#3 71-04) the top seed. BREAKDOWN: Johnson enters Saturday at PA#1 with a 15-6 from earlier this season, though he hasn't competed in the pole vault since December 22. If healthy, Johnson could certainly approach that 16-foot bar. Knipe is in the midst of a strong senior season. He jumped 15-4 (PA#2) at a TSTCA meet and then 15-0 a few weeks ago. Haze Farmer from Arkansas (US#1 17-5) and Rhett Nelson (US#3 17-0), also from Arkansas, are the top seeds. BREAKDOWN: Taylor, a sophomore, is the lone PA entry in the long jump field. She enters the weekend at PA#1 and US#24 with her season best leap of 18-10.75 from a DVGTCA meet earlier in the winter. The field is loaded with talent, including US#1 Aniella Delafosse and US#3 Lauryn Harris both from Bullis School (MD). BREAKDOWN: So this won't actually be the first Abinusawa-Thelma Davies matchup ever that we thought we'd get. Davies, the two-time defending champion in this race, will go up against pros (scroll down for more on that). Instead, the sensational freshman Abinusawa enters her first Millrose as the top seed and the favorite in this veteran-heavy field. Her season best of 6.89 sits at US#1 on the season. Two others have seed times under 7 seconds: Shaniya Hall of Maryland (6.98) and Soniya Jones, an up and coming sprinter from Antigua and Barbuda. The ninth grader could be in line to win the biggest race of her young career on Saturday. BREAKDOWN: Montgomery, a junior, is the lone PA entry in the boys 60m field. He's had a very strong season thus far, collecting wins at Burdette in the 60m and the New Balance Games in the 55m. His NBG time of 6.46 is good enough for PA#2 and US#30. He comes into Saturday's field as a dark horse with the ninth fastest seed time out of nine, but he's been on the rise this winter and could surprise some come race time. BREAKDOWN: Last year, Strath Haven surprised many by taking the win in this race and now the squad returns looking for a repeat. Grace Forbes split a 2:12 to take Haven from third to first to capture the upset win a year ago. Fast forward to this year and Pennsylvania brings in the nation's top two squads. 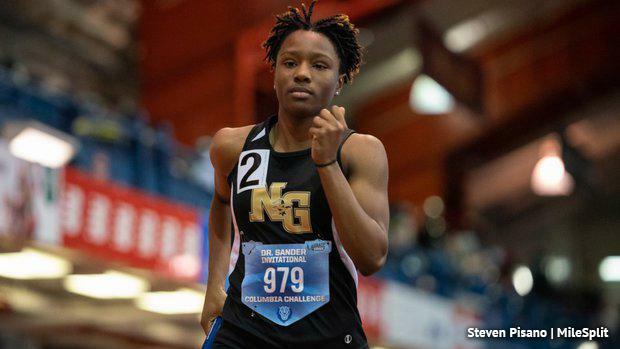 But it's Neumann Goretti that heads up the national rankings after a huge US#1 9:13.85 to win at the Armory's Dr. Sander Columbia Challenge a week and a half ago. NG had consistent splits of 2:18/2:18/2:16/2:19 at that meet. The Saints are the top seed and surely the favorites with a deep squad of quarter mile talent. Strath Haven (US#2) will look for more magic this season (the two battled to the line at the indoor state meet last year). US#3 Portsmouth (RI) and US#4 Shenendehowa (NY) should also supply a good challenge to the top spot. 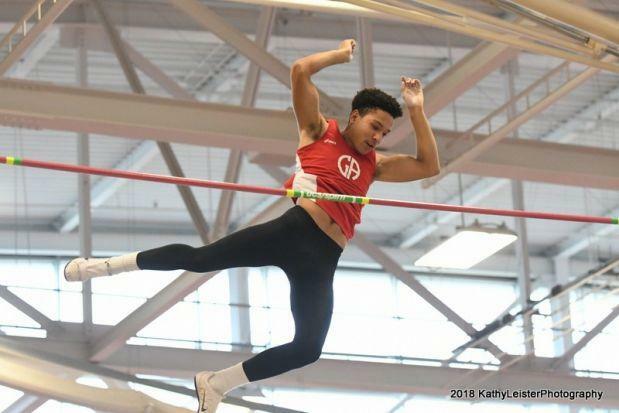 BREAKDOWN: PA's top three vaulters are set to go up against each other on Saturday. Reed is the top PA entry after jumping a career best of 13-0 this season. Cohen, a PA newcomer, is at PA#3 with a season best of 12-10. Horn is at PA#3 with a 12-7 from early in the season and can certainly compete for a high finish this weekend. The field is very deep headed up by Virginia's Gennifer Hirata, who has cleared 13-6 this spring. BREAKDOWN: Both Barnes and Hebron are in the second of two 300m sections. Hebron enters the weekend at US#4 after a 38.79 from the Armory Hall Of Fame Coaches Invite. Barnes sits at US#7 after a strong 38.97 at the VA Showcase a few weeks ago. The top seed is Britton Wilson (VA), who ran to the win at the VA Showcase. Expect both PA girls to be in the mix for high finishes. BREAKDOWN: Hebron is in the midst of a very solid senior season. He's been busy, too. Back in December, Hebron went 34.27 to win at the Armory. He'll return for the 300, where he currently sits at PA#2 and US#7. He's entered in the first of two heats. BREAKDOWN: Coatesville has proven its sprint depth all season long and the squad has been rewarded with a spot in Millrose. Its PA#1 time of 1:42.34 came at the Stanner Games on the same track it will race on on Saturday. The Raiders come in seeded fifth out of the six teams in the field. US#4 Bullis (MD) is the top seed and lone squad in the field to have run sub-1:40 this season. With a clean race, look for Coatesville to improve on its own state-leading time and move up from its US#10 standing in this fast field. BREAKDOWN: As mentioned, Davies won't be defending her title in the Junior Girls 60m this season. Instead, the multi-time Millrose champ and the greatest sprinter PA has ever seen will try a new challenge: racing the pros. Davies is entered in the pro women's 60m field, which features Javianne Oliver, who is currently No. 6 in the world in the 60 meters with a 7.17. Collegian Marybeth Sant of Colorado State, who is No. 8 in the world with a season best of 7.18, is also in the field. In most races she's run in the past few years, Davies is usually the favorite or at least among the favorites. That isn't the case here for Davies, who will be coming out of lane 1. Regardless, look for this strong field to propel Davies to a very fast time. The LSU recruit has a best of 7.44 this season. 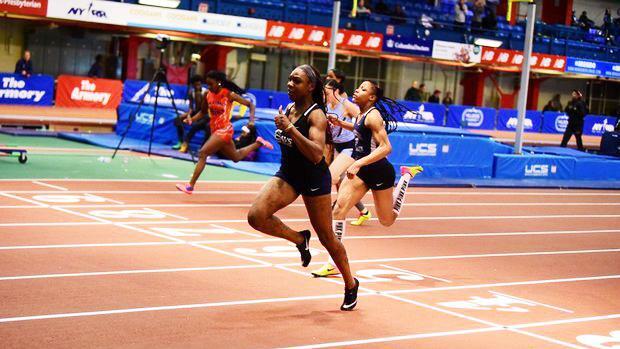 Her PR and PA state record is 7.33, while Tamari Davis' 7.31 is the current US#1 time. 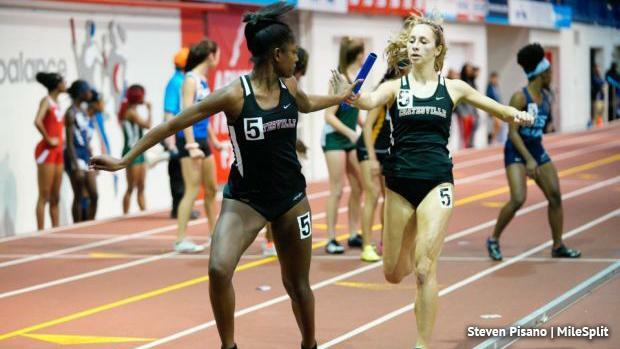 BREAKDOWN: Katelyn Tuohy's last loss against high school competition came in the girls mile at the Millrose Games last year. Gabrielle Wilkinson of Friends' Central pulled off the upset win over Tuohy, arguably the greatest high school distance runner ever. Third in that race was Starliper, who was a spot ahead of Tuohy. Starliper and Tuohy return this year as the top two seeds. Tuohy should still be considered the favorite, but Starliper can't be counted out here. The Northern junior ran a US No. 9 all-time 3K two weeks ago, while Tuohy ran a 3K 19 seconds faster on the same day. Look for Starliper to go for the upset just as Wilkinson did. Parks ran 4:55 in her indoor debut in Virginia. Now she returns for her Millrose debut. 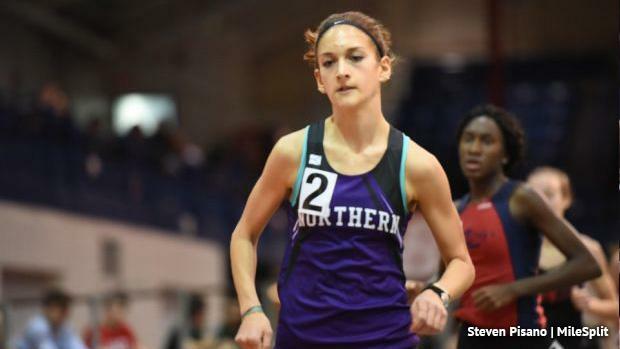 Goldstein, the New Balance Games champ, is also making her Millrose debut along with Schneider. BREAKDOWN: Stopping the stacked Bullis School (MD) squad will be no easy ask of the PA teams, but of course, anything can happen in the 4x2. Bullis has already run 1:25.60, which smashed the national record in the event. Now they will take to the Millrose stage. It's been a great year, however, for the two PA squads in the field, CD East and Haverford School. CD East dropped a PA#1 time of 1:29.02. At the time, that was a US#2 time; now they're at US#9, but surely anxious to make some moves up the national leaderboard with a strong performance Saturday. Haverford School is a strong squad that went 1:29.66 (PA#2/US#13) back in early January. They, too, will be gunning for a strong effort to move up in the rankings. It will also be a nice preview of the state's top two relays ahead of the indoor state meet later this month.